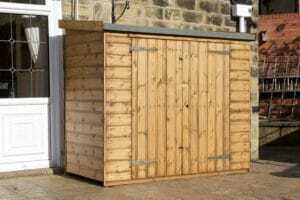 Sheds provide a simple solution for a number of problems including lack of space in the home and safe and secure storage for belongings such as gardening equipment. 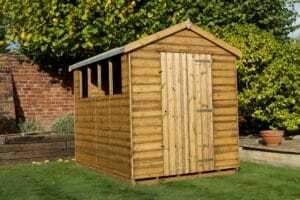 If you’re thinking of getting a new shed it’s important to choose one that fits your space, blends into your garden and most importantly can stand the test of time and weather all four seasons. 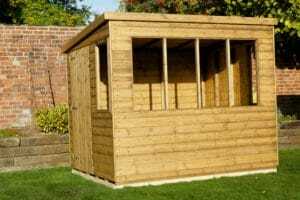 Whether you want a cheap garden shed to house your gardening tools or you want a shed that fits perfectly in your garden, we can help find your new shed and keep within your budget. 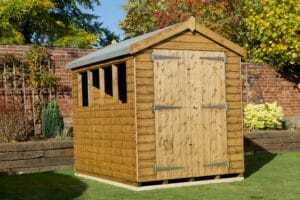 Why waste time trawling through the internet for reviews and other shed suppliers when one call to us will ensure you receive useful advice and information from our friendly staff who have an in-depth knowledge of the extensive range of sheds we have in stock for you. Please contact us for current designs and prices. The Conisbro Apex has an apex roof 5’6″ to eaves rising to 6’6″ ridge. Window and door positions are available in two options. 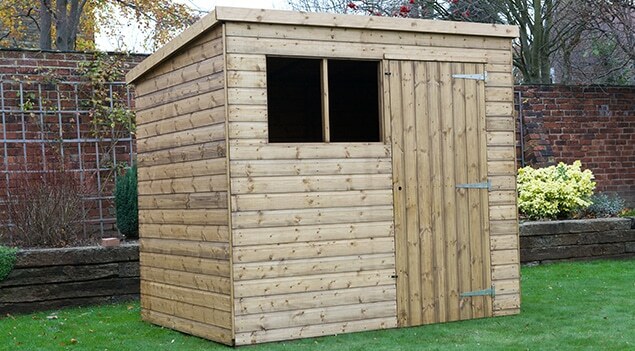 The Stirling pent is an ideal shed built for the taller customer. A head height of 7′ 4″ to the front, sloping to 6’10” at the rear. 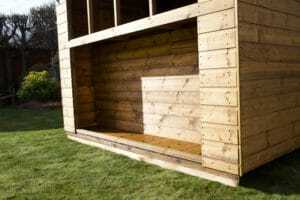 A popular garden shed with 6′ 4″ head height at the front of ridge sloping to 5′ 9″ at the rear. The 2′ 9″ wide door can be situated in any of the 5 positions. Perfect for storing valuable equipment. An apex roof and a 6′ clear head height throughout the interior. A 3″ x 2″ fully framed, 2′ 9″ door fitted with security padlock protector and security hinges. The narrow windows are internally glazed for extra security. This shed is available in 2 options. 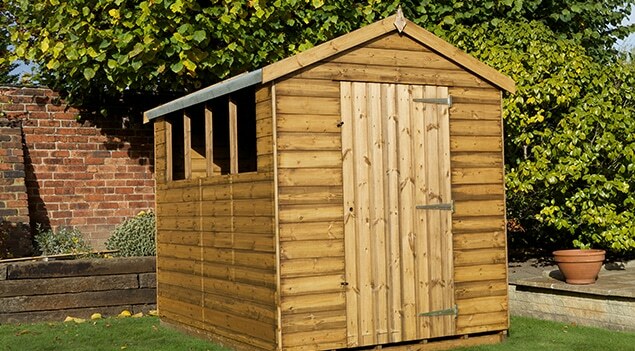 An attractive and versatile apex which is an ideal storage building pleasing to the eye. Built with 6′ high walls rising to a 6’9″ ridge. Fixed windows are fitted to the front and one fixed window to each side. The Hobby Deluxe has the same specification as the Hobby Apex but with additional decorative features. This includes a 1′ roof overhang , scalloped fascias, antique hinges and leaded windows. A 2′ veranda can be fitted as an optional extra. 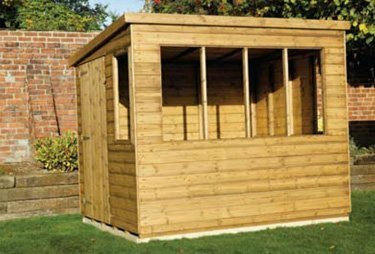 The Conway Apex is an ideal store shed with 5′ 9″ eaves rising to a 6″ 9″ ridge giving ample headroom. Door and windows options are available in two options. 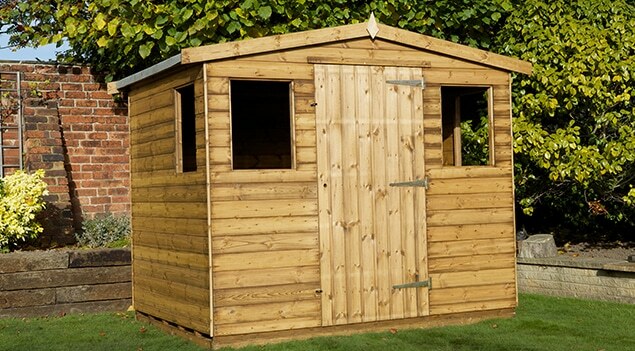 A Buckingham Apex shed with a 6′ clear head height throughout the interior. A 2′ 9″ door is fitted as standard or 4′ and 5; double doors are available as an optional extra on buildings greater than 6′ wide. 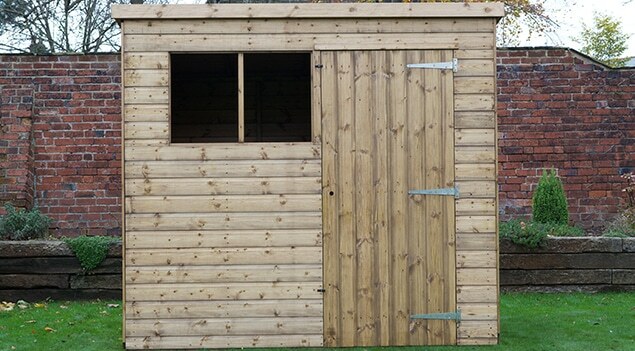 The shed is available in 5 options in regards to the door and window positions. 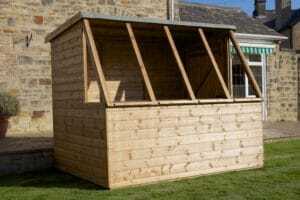 The Sandal potting shed gives good storage and also gives excellent light to enable you to grow your own plants from seed. An internal bench is provided to hold plant trays and two opening windows as standard. A stable door can be fitted as an optional extra. Our Heavy Duty building has a 6′ clear head height throughout the interior although we can make higher at an additional cost. Manufactured with 3″x2″ framing, 16mm tongued and grooved shiplap. A single door is fitted as standard or double doors can be added at additional cost ( as shown above). 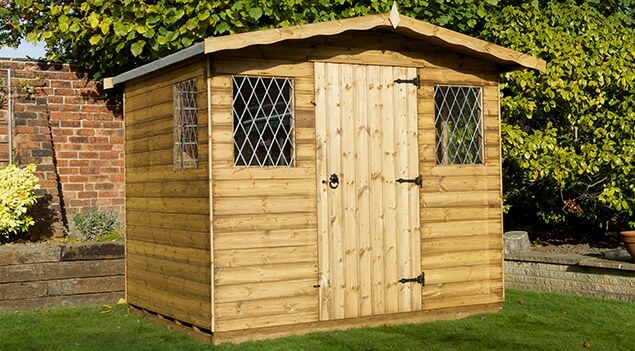 This shed also comes in 5 different options for window and door positions. The Eden Log Store is a manufactured apex building. A built in log store space to the outside created an internal work bench on the inside of the building. This shed is available in 2 options. The castle potting shed is ideal for gardening enthusiasts to allow those tender seedlings time to grow .before planting outside. Door can be situated at either left or right hand end. An opening window can be fitted opposite the door as an optional extra. The Tool Store is ideal for people with limited space and will fit most tight spaces. It also allows you to keep your garden tools under lock and key. Complete with double doors as standard, approximately 18″ wide, 5″ high at the front rising to 5’5″ at the rear. 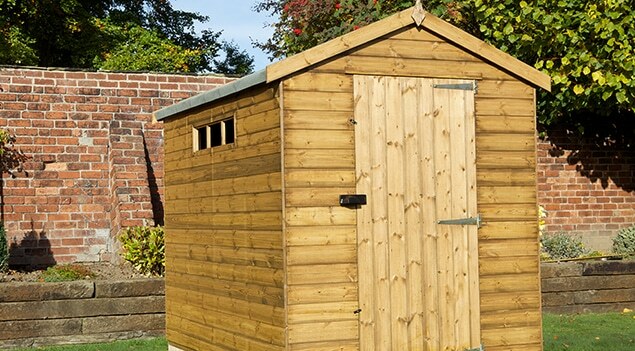 All sheds are subject to FREE local Delivery and come supplied with a FREE Mastic Gun and one tube of Clear Mastic. All are treated with a oil based preservative.